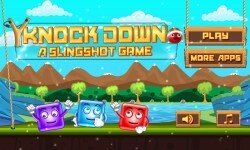 Knock down is a sling shot game of shooting and targeting other objects in 3 fantastic worlds. 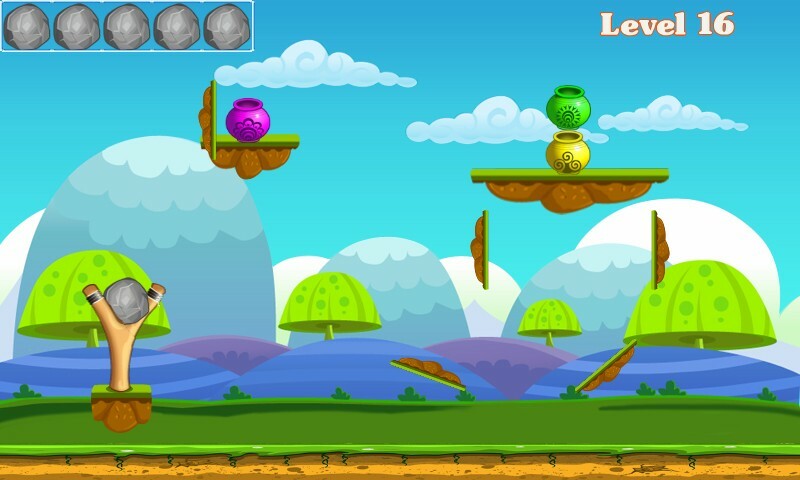 Take your adventure craze of knock out to the world of candy land, Birds Island and the Pot world. 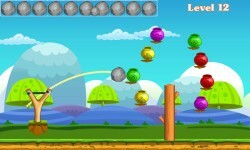 Fun with physics is the motive of this game. 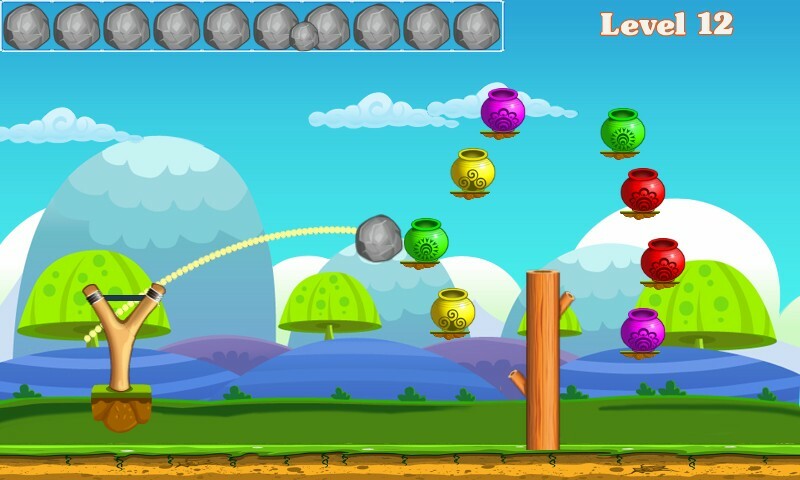 In this platform game you will learn to imply projectile physics and enjoy this with your friends and family. 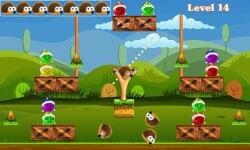 Take into account the hurdles which will obstruct your shots. 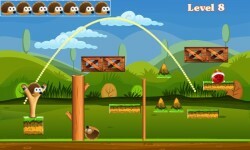 Hurdles may be some wooden flock, stone barrier and others. How to Play: Simple game rules no complicated physics. Drag finger over the screen, aim to perfection and release for perfect sling shot. Let’s start the adventure with sling shot. There are three worlds in this game lets enjoy playing through all of that. 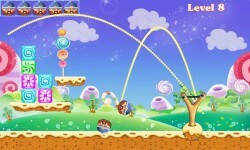 1) Candyland: Aim, project and boom all the delicious candy in this candy land. Knockdown all the candy to move on to the next level. 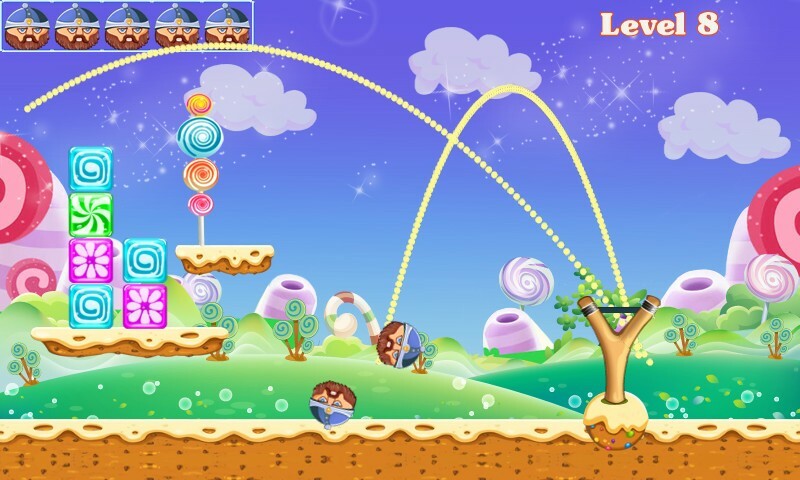 There are 30 different levels of implementing the funny physics and grab all the sweet candies in this candy land.